When you’re looking for just the right carpeting for your new home or remodeling project, you might find yourself overwhelmed with choices. Before you make a selection, consider a number of factors like construction, fiber type, patterns and colors. There’s a type of carpeting to suit anyone’s taste! In terms of construction, we can classify carpet into two distinct types: loop pile construction and cut pile construction. As indicated by the name, you can tell the difference between these two types of carpeting easily due to the fact that loop pile has visible loops, while cut pile is cut so that each strand is separate. Loop pile carpet is considered more of an “all-purpose” construction. Three main types of cut pile carpet include cut and loop, barber or level loop, and multi-level loop. Cut and loop carpet mixes cut pile and loop pile fibers, making for a textured appearance. It’s great for high-traffic areas and can help hide stains and dirt. Barber or level loop carpet has short, packed loop fibers. Multi-level loop typically features fibers of varying heights, for a patterned and textured appearance. 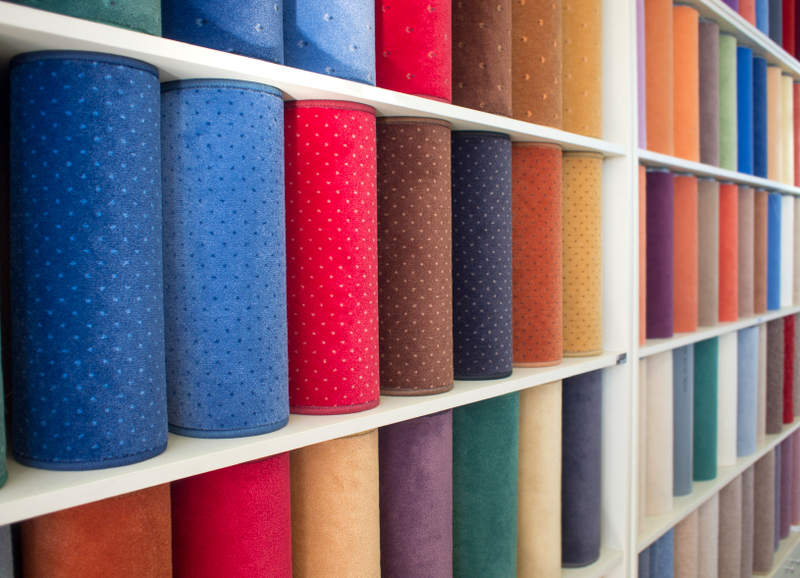 Cut pile carpet comes in four main styles: textured, plush, frieze, and Saxony. Textured cut pile carpet has a low density with fibers of uneven heights, creating an informal look. Plush cut pile carpet boasts a more formal look, with an even and smooth look. Frieze cut pile carpet is longer with a series of twists for a more informal look. Saxony carpet has an even and sooth finish, but with twisted and longer fibers than textured plush carpet. There are several types of carpet fiber for you to choose from, which can add an extra level of appearance and comfort when walking around barefoot. Different types of carpeting fiber include nylon, polyester, olefin, wool, and acrylic. You can also have a blend of these fibers to help improve the carpet’s overall feel, look, and durability. This is where the real fun comes in! Patterns and colors are a great way to add depth, personality, and an overall tone and feel to your home or building. You can select from a variety of patterns and colors for all types of construction and fiber that you select. It’s important to remember that while lighter colors can help rooms look larger, they also show more dirt and stains over time. This means that homes and buildings with high traffic, children, or pets may benefit from darker colors. If you’re looking for Longwood carpeting, don’t hesitate to call us today at 407-262-7979 so our experts can help choose the best carpeting for your project.